One day last week we decided to have fish for dinner. We have fish a lot. We buy a filet at the store, already prepared and seasoned for $4, split it between the two of us, and add a cheap side dish like potatoes. We like the garlic parmesan tilapia the best. But when you eat it a lot sometimes its nice to do something a little different with it than just eat a piece of fish and some potatoes. 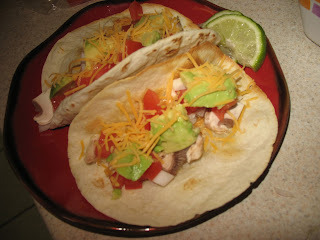 So I decided to spice it up a it and make Fishy Tacos. 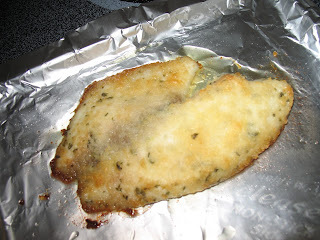 A nice garlic parmesan tilapia, baked in the 400 degree oven for about 12 minutes, comes out perfectly flaky and golden. The parmesan cheese slightly burnt on the edges...yummy! 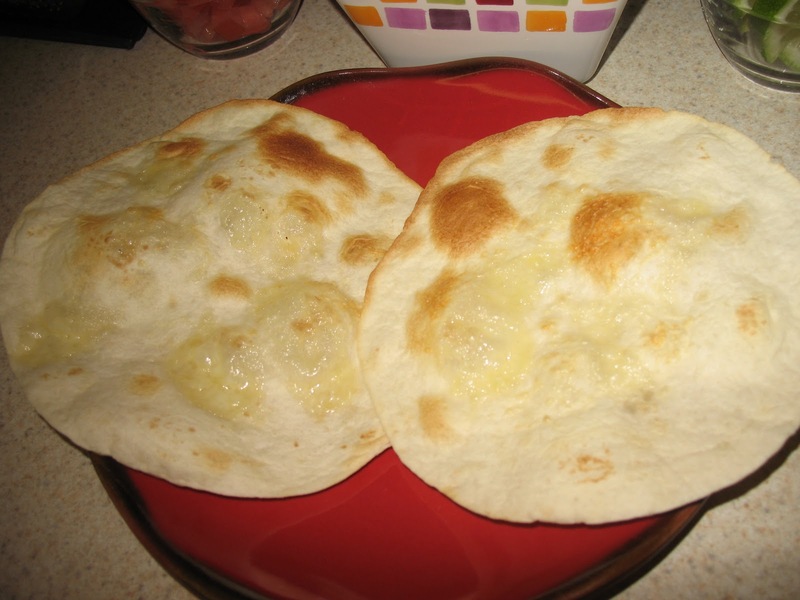 Then we toast a couple small tortillas in the toaster oven, shred the fish into little chunks and divide it up between the tortillas. And then top with whatever deliciousness you desire! We used fresh diced tomatoes, lovely avocado slices, a little chopped red onion, and a little lime juice. Light fresh flavors with a Mexican twist! 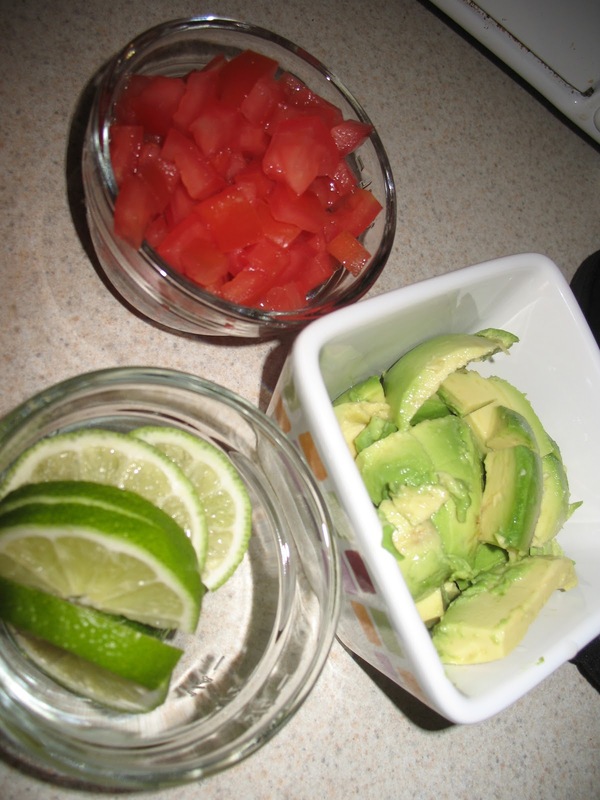 So simple and so yummy!